The September 14th Bella Petite Hour (with host Ann Lauren) and co-host Bella Petite business expert Maria Gamb the “Change Agent” will be all about relationship building in business and our personal lives. Ann and Maria will talk about “The Real Currency Required to Create a Business that Thrives.” Check out Maria Gamb’s most recent Bella Petite article. The special guest on the show is author and dating coach Jonathon Aslay. He is a self-proclaimed relationship confidant who is a romance and relationship matchmaker for women. After turning 40 and going through a divorce in 2005, Jonathon began internet dating with the hopes of beginning the second chapter of his life with someone new. What he didn’t expect was that online dating and almost 10,000 hours of conversations listening to women share their relationship stories would change his life. Many of these new found friendships began reaching out for his advice and Jonathon became fascinated with why relationships work and how they end. This is when Jonathon found his true gift and passion in life as a relationship confidant. Jonathon now shares the mind of a single/divorced man to women, and helps them answer the questions that baffle them most when it comes to dating and relationships. In 2007 Jonathon wrote his first book, “Online Dating Secrets Revealed,” and subsequently his coaching career began. Jonathon is a successful entrepreneur, coach, speaker and international author. In 2010 he launched his Understand Men NOW website to help women understand men better through his monthly membership program. This will be a fun show talking about the pros and cons of dating in the workplace and on the internet. We will also unlock the secrets of understanding men with Jonathon! Tune in to the live broadcast this Tuesday at 10:00 am PST on America’s Web Radio. If you missed the live show it will be available on itunes and here on Bella Petite. Please leave your questions and comments for our guest here. Quote by Chanelle: “I would subscribe to Bella Petite Magazine whether or not there was a model search, because of the fact that this is a magazine that is trying to change the discriminatory height standards in the fashion industry. 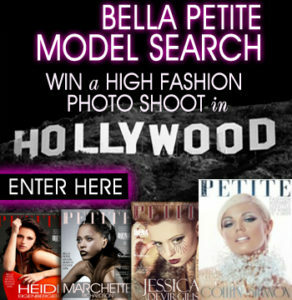 I love being a part of that!” Enter the Bella Petite Magazine Cover Girl and Editorial petite model search. Listen to this weeks radio show and it was great!! I well be listening to this show again. Not only was it fun and fast pace. I found it very informative. Good post and podcast this has helped me alot. Thank you for being so helpful and entertaining! Maria Gamb is a fab biz woman and so is Ann! Good work gals!